ICH Blog: What, and where, is our heritage? Help map Champney’s West heritage. What, and where, is our heritage? Help map Champney’s West heritage. This June, residents of Champney’s West will start to map out what their heritage means to them, with a little help from folklorist Dale Jarvis. In Newfoundland and Labrador, our living heritage is rich and diverse. It includes ballad singing, snowshoe-making, accordion playing, knitting, Christmas mummering, berry picking, boat building, and much more. We tell stories, make clothes, shear sheep, and spin yarn. We have a complex knowledge of place, the seasons, and the movements and patterns of animals from moose to cod fish. If we lose these important parts of our living heritage (what we call Intangible Cultural Heritage or ICH), we will also lose important resources that can keep our communities going culturally, economically and socially. But where do we start? Communities decide which traditions are important to document. Sometimes these traditions are threatened; sometimes particular elders or tradition-bearers will be highlighted. Other communities may record important traditions of everyday life. One first step is "asset mapping" - the process of collecting, recording, and analyzing local information in order to describe the cultural resources, networks, links and patterns of the community. Cultural asset mapping provides an inventory of key cultural resources that can be utilized for future development in the community. 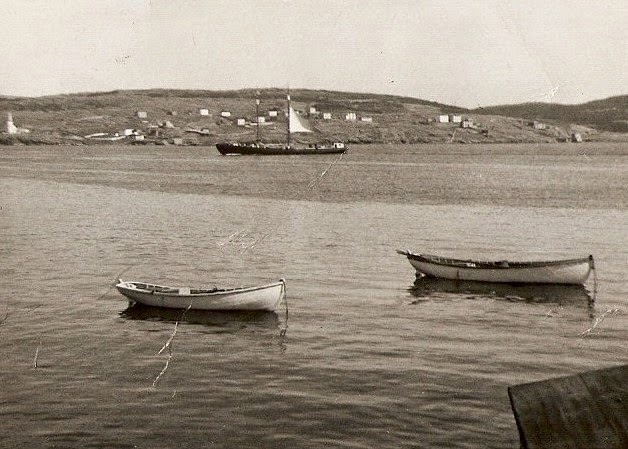 Dale Jarvis, the ICH Development Officer with the Heritage Foundation of Newfoundland and Labrador, will be leading a community conversation about historic places, trails, old stories, place names, traditions, and local knowledge. Come for a cup of tea, and tell us what matters to you in Champney’s West. It will be a free and fun community workshop, sponsored by the Champney's West Heritage Group Inc.